Description: Crate Paper Collection Merry Days Paper 12 in. x 12 in. 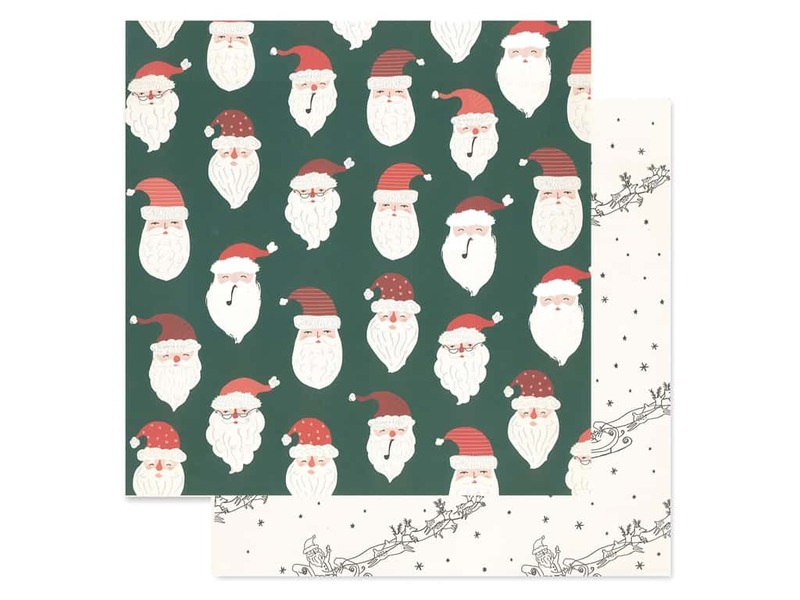 Believe- Double sided cardstock, one side is dark green with rows of Santa faces with assorted expressions. The reverse side is cream with a repeat picture of Santa in his sleigh with reindeer pulling him through the stars.